I purchased this boat in March ’09 from the heir of the original owner. It’s a low hours fresh water boat that was always stored indoors, never moored. All of its wood, varnish and fittings are original and unrestored. 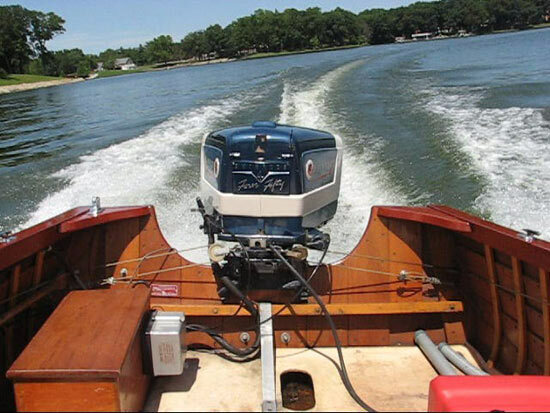 The motor is the original 1958 Evinrude Four Fifty (V4). The trailer is the original Gator tilt with bunks. 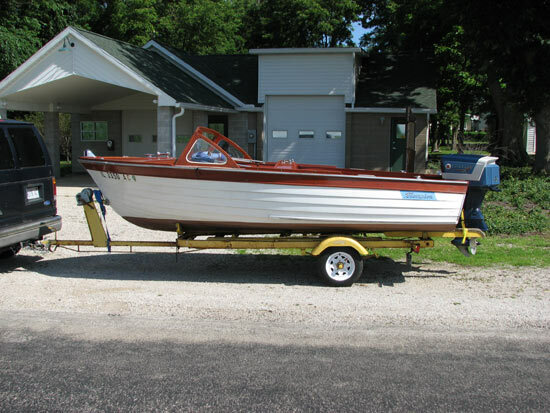 The boat came with its original fuel tank, Thompson skis & rope, ladder, manual bilge pump, side & rear curtains & paddle. I recently made a trip to Illinois where it is stored and had my maiden voyage with it on Lake Sara. It runs and handles great. 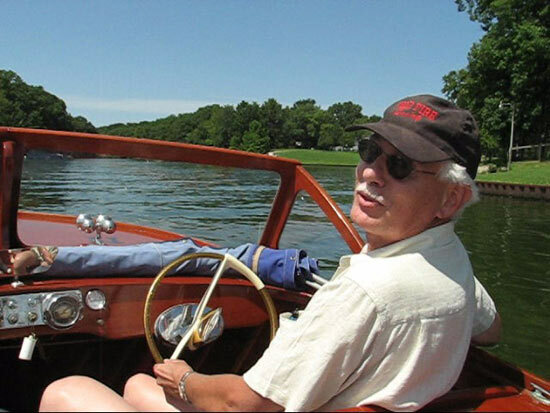 It was my dream since I was a boy to have an old wooden boat and now I’m hooked!